← We have another GRIP too . . . .
At our April meeting we reviewed the excellent progress made in 2015/16 and based on that we have formulated a high level plan for 2016/17. You can see the plan by clicking here. It is quite an ambitious schedule but we agreed that now is the time to be pushing hard on all fronts. We already have the next meeting with Network Rail and Mott MacDonald in the diary! To help with this, Murray Ross, a local resident, has agreed to join our team and will be a valued member, I am sure, as he has up to date technical knowledge of the rail industry. Getting the GRIP 1 and 2 reports delivered was a major milestone for us and so it was great to see that it was published in the local press (both the Free Press and the South Wales Argus). Here is the link to view the on-line version in the South Wales Argus. Both reports are now available in our documents section. 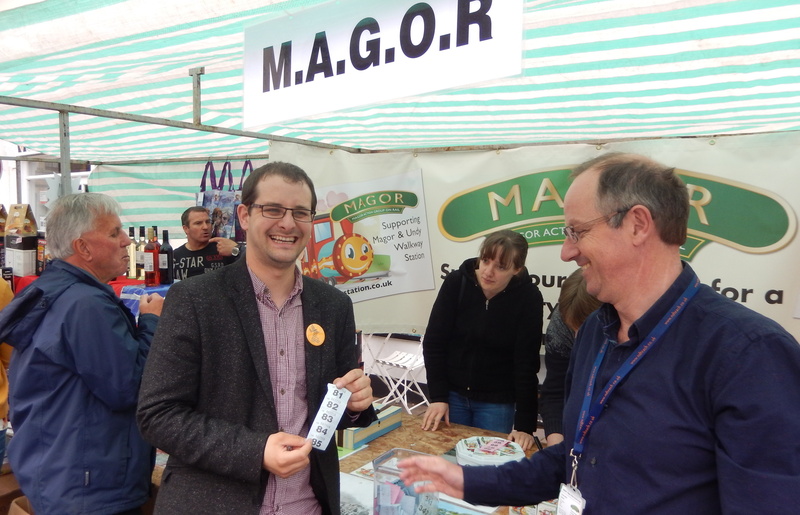 Finally it’s May Fayre time again and as well as our usual chance to talk to residents over our ‘bottle stall’, this year we will be separately raffling a couple of FIRST CLASS RAIL TICKETS kindly donated by Great Western Railway (GWR). The tickets, which will have some Terms and Conditions, will allow the winner to travel anywhere on the GWR network. So come and have a go – only a £1 a try.